Amanda Formaro is the crafty, entrepreneurial mother of four children. She loves to bake, cook, make kid's crafts, and create decorative items for her home. 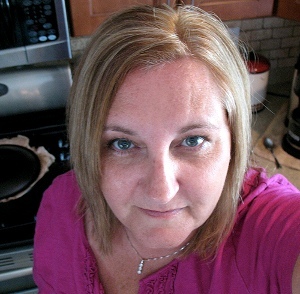 She is the craft expert for FamilyCorner.com and Kaboose.com and has appeared online and in print publications many times over the years. You can see her crafty creations on Crafts by Amanda and her delicious recipes on Amanda's Cookin'. More Free Crafts from Amanda! Amanda! This is really a fabulous idea. There are many products which can be recycled to make an eye-catching craft. I am dying it to try this DIY. Really thanks, I am also a blogger. you can check my article " how to remove stains-the artistic approach". We did these several years ago for table decorations for a Volunteer Banquet for the Meals on Wheels Program. I shrunk them all and took all kinds of embelishments up and the ladies at the senuior center painted and decorated them. One of our ladies in her younger years made hats as a living. We sure had many cute ones. Some were shaped as this others like cowboy hats, etc. We had feathered ones, flowered one, ones with ribbon. beads just about anything you could think of It was so fun. I still have a couple that I keep on my computer desk for decoration. Amanda..great project idea of the mini leprechaun hats. I question if the bottom of the hats are attached to something? Or, is this part of the cup that has melted down? Also, you stated this is done in an electric oven, what about a gas oven? Thank You..